Because they can’t pick up and move, plants must react rapidly to changes in their environment. Doing this requires a complex network of signaling pathways that can involve epigenetic factors, such as noncoding RNA molecules. 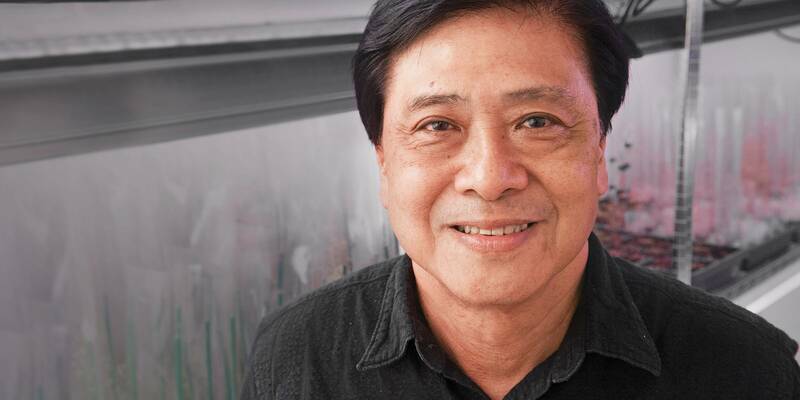 An emeritus professor, Chua is focusing on the function of these long, noncoding RNAs in Arabidospsis. Previously, the Chua lab found that the Arabidopsis genome encodes around 8,000 long intergenic noncoding RNAs (lincRNAs) and 36,000 natural antisense transcripts (NATs). Critically, Chua established several of the basic tools necessary to conduct molecular research in plants, and he subsequently found key proteins involved in Arabidopsis’s response to the transition from light to dark. His research has also led to the identification of proteins that play a role in a plant’s reaction to drought. The knowledge Chua generated through the use of Arabidopsis shows promise for improving crops to reduce hunger around the world, as well as to create sustainable agriculture in regions that currently are poorly suited for it. Chua received his B.Sc. in botany and biochemistry from the University of Singapore, and his Master’s and Ph.D. from Harvard University. He was a lecturer at the University of Singapore before joining Rockefeller as aresearch associate in 1971. He was made a member of the faculty in 1973. Chua is a member of The Royal Society, the Chinese Academy of Sciences, and Academia Sinica.